Each piece of antique jewelry tends to have some distinctive history behind it. 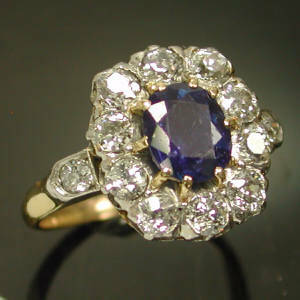 They consist of precious gemstones, diamond, estate jewelry, gold and silver from different eras. It can be Victorian, Georgian or Edwardian styled jewelry; we accept designs from all the eras and give you the best value for them. Old jewelry might have some signs of wear and tear that reduces their value. We understand that antique jewelry are rarely found in pristine condition and evaluate their intrinsic value depending on the evaluation made by our experts. Unload Your Gold accepts earrings, necklaces, rings, bracelets, jewelry sets and other antique jewelry items. We are a one stop selling destination with several years of professional experience. Selling your old jewelry can always be an emotional experience for you and we understand that as an owner you would never let it go waste. You’d like to choose a jewelry buying service which has the ability to offer a fair market price. Our clients keep coming back to us to get rid of their antique jewelry and leave with a smile on their face. Unlike the majority of antique jewelry buyers, we have a transparent process. Our loyal customers know how we strive to offer them best possible rates on their jewelry and antiques. We have a proven track record in this field and you’re welcome to check our credentials. Our diverse clientele features individual sellers, retailers, antique collectors, royal households and others. We have a team of expert professionals with years of experience in this field. They can educate you on the selling procedure, unlike other antique buyers. Antique coins, rings, brooch, locket, watches, bangles and similar items often gather dust in some households. There are times when the owners are not sure of selling them or not. However, financial crisis often creeps into the lives of people due to some unexpected circumstances. One of the best ways of addressing this problem could be selling the antique jewelry. It is often a daunting task to search and select a reliable buyer. Come to us and we’ll show you how we’re different from the rest. Something as ordinary as old watch, pendant, gold box or even cigarette holder may have a decent resale value. You are welcome to take our assistance in determining their highest market value. We provide a free of cost evaluation and there is no obligation to accept our terms afterwards. Our staff personnel are also trained to check the market price of broken, damaged or tangled pieces. We don’t guarantee fast payments but try our best to make it as convenient as possible for our esteemed clients. Like others, you won’t experience false promises which are almost impossible to keep. We strive to improve our service standards to ensure maximum customer satisfaction. Be it gold, silver, diamond or platinum, we’d never compromise with our quality of service. If you have all your precious jewelry packed together, you may consider getting in touch with us. We also accept old chains, medallions, medals, cluster rings and badges. You’re welcome to get in touch with us for a free instant quote. As a step by step process, you’ll be coming closer with the completion of each one by one.